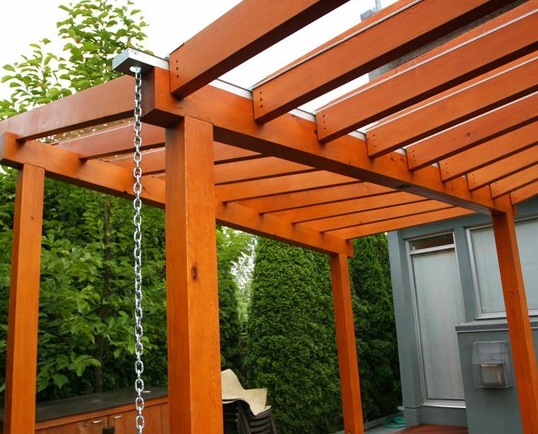 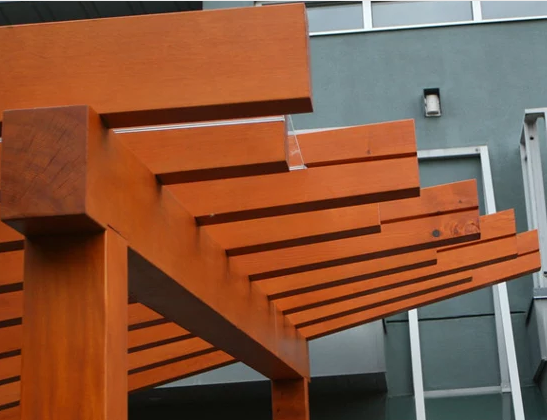 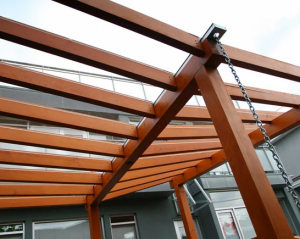 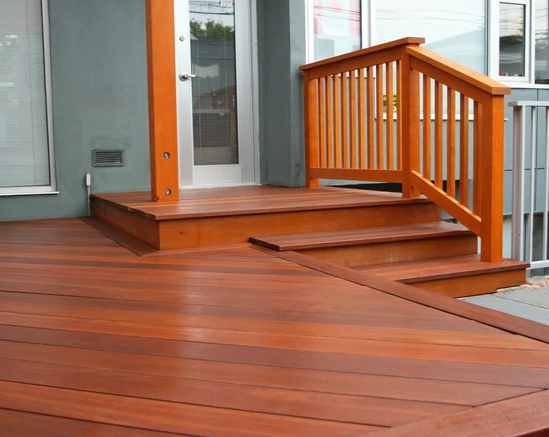 Modern pergola and hardwood deck in Vancouver BC. 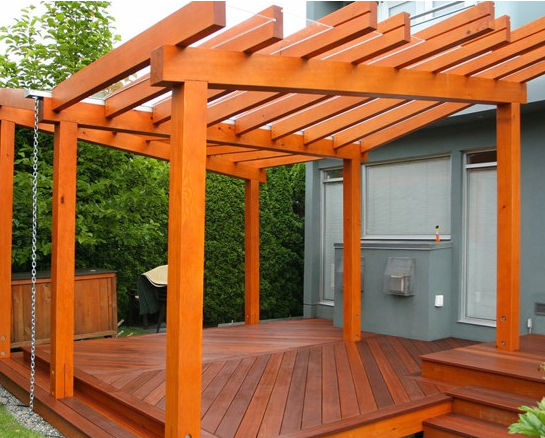 Pergola and handrail material is mostly clear Douglas Fir, decking is Red Balau. The pergola is a modern design with a “twisted” rafter design – each rafter gets progressively steeper on each side of the pergola.